This week has been a busy week with school. Its like one case, paper, or assignments after another. I am really looking forward to summer break and a vacation. Since the weather was warm a few days ago, I handed my camera to my friend Chioma to be my photographer for the day since hubby was at work. It was fun playing photo shoot with her. On another note, since the constant change in weather, I like incorporating boots to my outfits and there are great variety of women's boots that add a touch of color to an outfit. You should check them out at www.very.co.uk for some great boots. But first, Happy Birthday to my dear friend/lawyer in the making Kasie...! 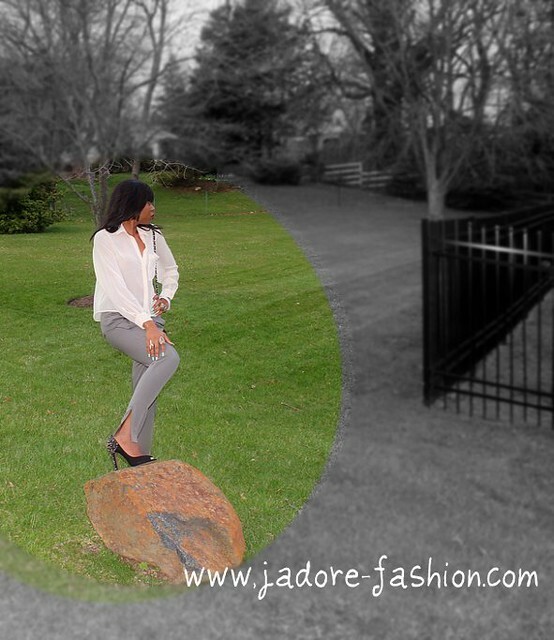 Outfit: H&M pants & shirt, Sam Edelman "Lorrisa"
Fabulous look and pics, darling! Nice pictures!! The outfit is chic and I love your shoes!! And i just can't be a woman.Oh well,thank God i have a gurlfriend,would love those shoes on her. Oh,your shoes is so amazing ! Great post.Love your style. Loved!! Great shoes and blouse!! thanks for your comment, I love your watch, this colour is great !!! Omg I love your shoes! Your shoes made me smile! Love your "peep toe" polish. So pretty. I like the shirt, watch, and shoes. Oh my God, your shoes! I've been admiring a similar pair, but never thought I could possibly pull off such a bold statement... They are amazing, and you absolutely rock them :) Love this look! LOOOOVE your shirt and the way you paired it! Great fit...your posts are always so awesome! Your shoes are HOT!!! Love them!!! 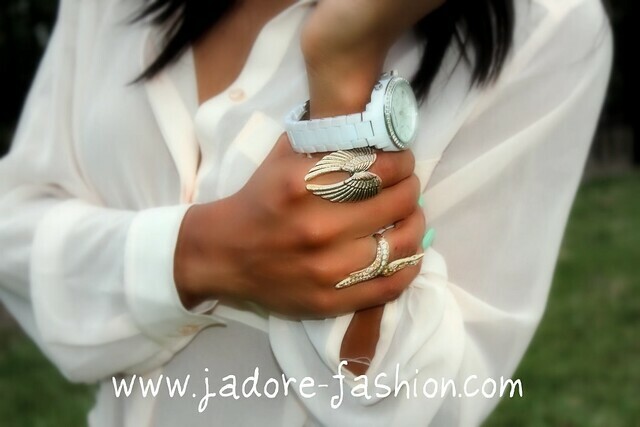 Your accessories are lovely - I love the chunky rings! They all play up the neutrals you're wearing. Thanks for taking a visit to my blog, doll. I love your shoes and the banner of your blog is wonderful! so interesting. the spiked shoes are so striking. cool pants!